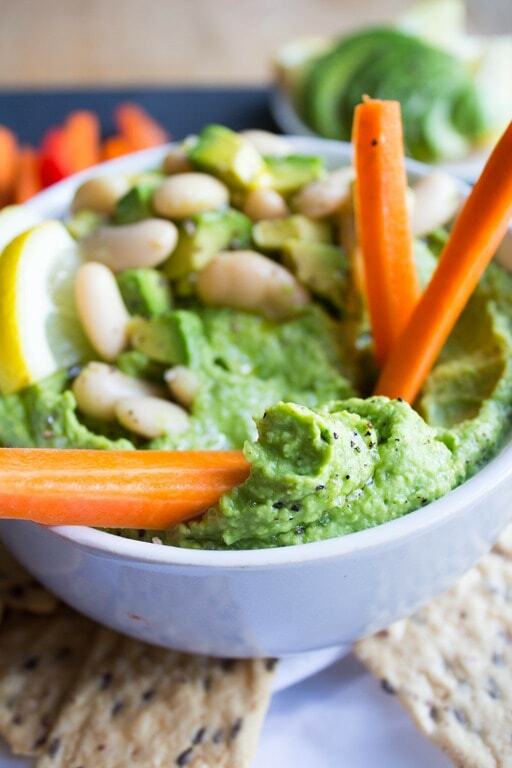 This Lemon Avocado Hummus Recipe is the love child of hummus and guacamole. It makes a great sandwich spread and a yummy appetizer for social gatherings – or enjoy it as an afternoon snack with crackers and veggies! 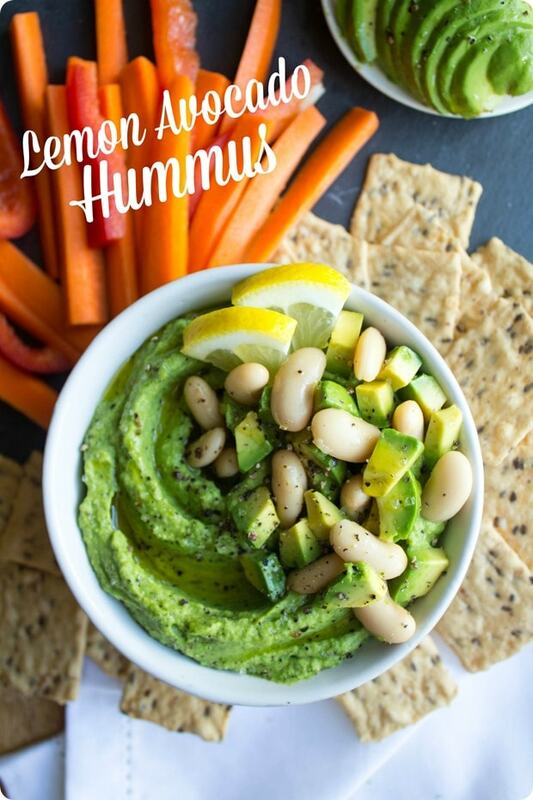 If you love lemon, avocado, and hummus, you will love this recipe. It’s fast, easy, and delicious, and the protein from the beans and the healthy fat from the avocado will keep you full and satisfied. Enjoy as a snack with veggies and/or crackers, eat by the spoonful, or spread on a sandwich! It’s also really good in a wrap with smoked salmon, broccoli slaw, and some additional greens. However you have it, enjoy! Toss all ingredients in a food processor and process until smooth. 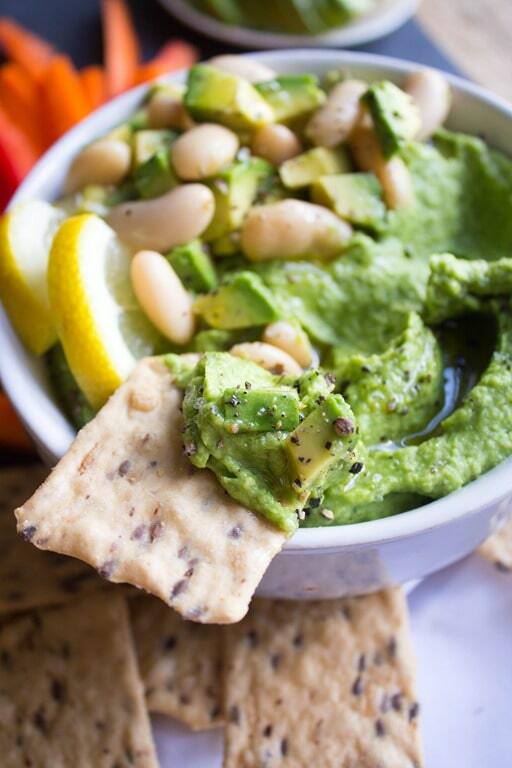 Serve chilled with crackers and veggies, or use as a sandwich spread! Wow this looks so great! I love all of these things. I bet it would be great spread on some toast and topped with a fried egg! Great idea – I’ll have to try that! This sounds delicious. 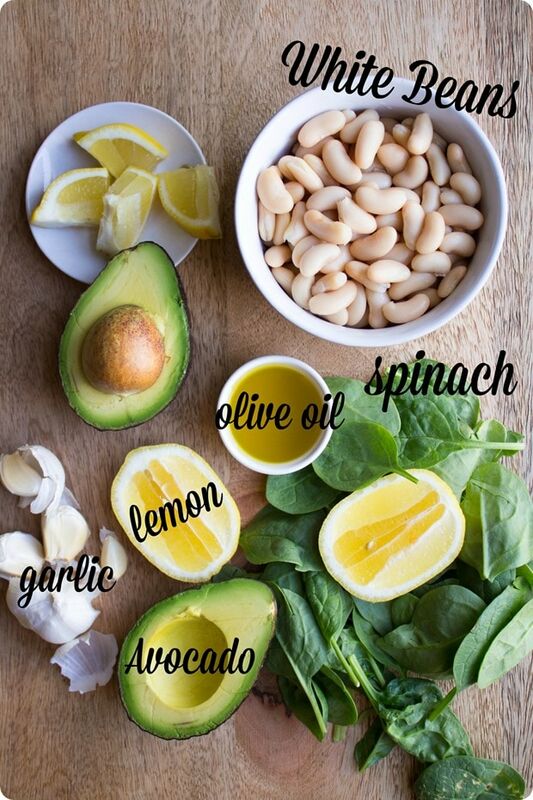 I assume with the spinach and lemon juice it helps keep the hummus green and not turning brown. Thanks for figuring out my lunch tomorrow! Yes, the lemon juice will definitely help prevent browning – added bonus! Let me know how you like it! It was delicious!! Between the lemon and the spinach there was no browning (stored for about 3 hours in a cooler bag). Definitely will be making this again for snacking and I might try some roasted garlic for a different twist. Excellent! So glad you enjoyed. Roasted garlic would be delicious in it! My brother in law gifted us with a bag of homegrown avocados and now I know exactly what to do with them! I can’t wait to dunk EVERYTHING in this spread :) And great photos too! So fresh and summery! A bag of homegrown avocados = pure gold. Enjoy!! 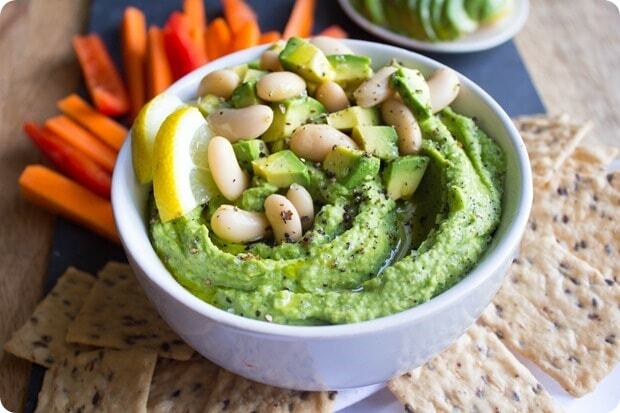 This looks great, but unless I’m going to a party/event where it will be eaten quickly I’m always hesitant to make dips with avocado – they don’t last long without oxidizing and looking gross, even with some citrus in the mix. How long would you say this lasts before browning? The lemon definitely helps, but I’m not sure how long it would last – when I’ve made it in the past we eat it all very quickly! I made this last night and it was delicious and so easy! That looks fantastic! I’ll definitely be making this soon! 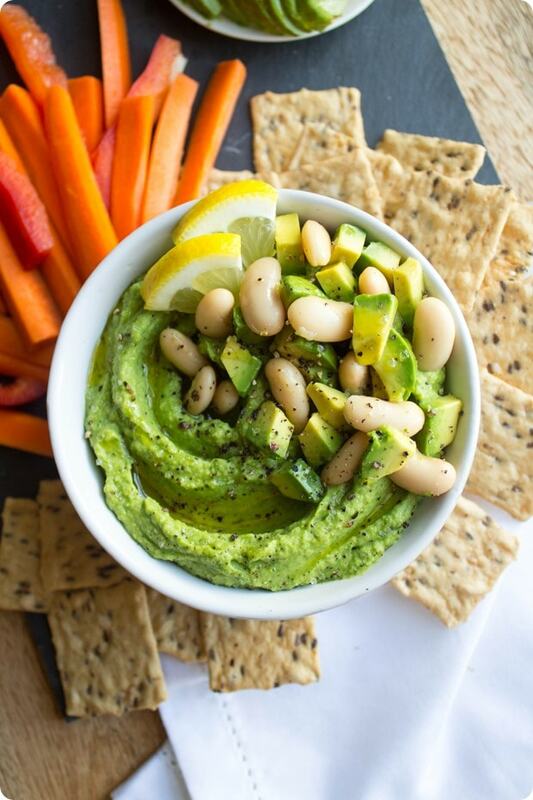 We Love the Lemon Avocado Hummus and I added a touch of Smoked Paprika which really brought out some amazing flavors! I used your recipe and gave you full credit at a small event I catered and everyone loved it! I am also adding fresh rosemary and sun dried tomatoes to your recipe. This will be used as a healthy base instead of Mayo for a grilled chicken sandwich with an Italian coccus for a luncheon tomorrow! Thank you for your great healthy choices as our world is filled with the easy unhealthy options that too many citizens often chose! Sounds delicious! Thank you Jamie! Finally made this ; BIG HIT ! Gorgeous color and so delicious. Bet it will be even better overnight in ‘ fridge. Anne, you are batting 1000 in our house, every recipe we have tried we have loved . Thank you so much for your delicious blog. I love this recipe and the fact that it does not require tahini in like regular hummus does. Only simple ingredients anyone would have or find in a store.